The use of bearings in large-scale mining machinery is harsh, usually the equipment is a continuous 24 hours of work, the typical case of bearing damage analysis. The service life of bearings can be improved by improving the heat treatment process. 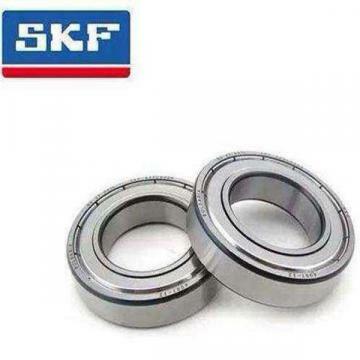 With the development of the national economy, the domestic users of the bearing performance requirements more and more diversified, different mechanical equipment, the use of the bearing requirements are not the same, but for the bearing, the length of the service life, to improve the reliability of the bearing is very important. The service life of bearings is generally indicated by rolling fatigue life, and the lubrication life and noise life are also used. 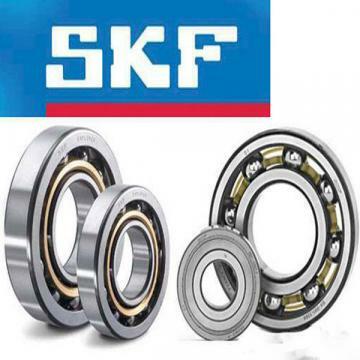 In order to improve these life parameters, various design and manufacturing units have adopted a series of improvement measures, such as (1) improvement of bearing material and heat treatment, (2) improvement of bearing lubrication condition, and (3) improvement of internal design of bearing. These improvements are important for improving bearing life. Mining machinery and equipment is a 24-hour operation of large plow equipment, these equipment for the work environment is very strict, especially the use of bearings to consider the fatigue life, but also to consider the damage caused by poor lubrication. Therefore, the paper discusses the bearing materials and heat treatment used in mine equipment. Mining machinery and equipment used in a variety of bearings, the different parts of the bearing damage forms also vary, the most common is poor lubrication, oily pollution, severe bearing overload, assembly unqualified, transport and assembly process impact, impact. Through the statistical analysis of the bearing failure, about 40% is due to particulate contamination, scratches, corrosion caused. Pollution is due to the handling of the process is not pay attention to cleaning or the bearing itself working environment is bad. The bearings used in the material conveying equipment have a lot of dust in the working environment, and the dust is easily penetrated into the bearing, causing the friction damage. Water and rust conditions exist in the bearing working environment of the drainage equipment, it is difficult to form lubricant film on the bearing surface, which accelerates the wear of the bearing working surface, and causes the surface peeling and crack. Mining machinery and equipment, especially the roller diameter equipment used in the general use of carburizing steel special heat treatment, so that the material rolling surface layer has been strengthened, the bearing service life has been greatly improved, so that the surface damage to the lowest point, the international use of this bearing is called Special heat treatment bearings (ea bearings). Compared with ordinary carburizing steel bearings, this kind of bearing is based on high cleanliness lubricating oil, even if there is a foreign body immersed in the bearing, the bearing's life, fatigue strength, wear strength, spalling resistance and other properties are better than other types of bearings. After special heat treatment of the bearing, the working surface is dispersed with residual austenite and carbide, so as to achieve the thermal stability of the material microstructure. In the tempering state, it is not easy to change the material properties, it is difficult to crack and the crack is not easily extended, which is effective to avoid surface damage. The test (Fig. 1, fig. 2) shows the change of hardness after tempering of ordinary carburizing steel and special heat-treated bearing steels, the change of residual austenite and the relationship at high temperature. The results show that the special heat-treated steel bearing has high tempering stability and stable residual austenite compared with ordinary carburizing steel bearing. According to the test data, the special heat-treated bearings used in the harsh conditions have a life expectancy of about 3 times times higher than that of ordinary carburizing bearings. The life of mine mechanical bearing is improved by improving heat treatment process.